Most of us think of the Mazda MX-5 as an enthusiastic little soft-top. 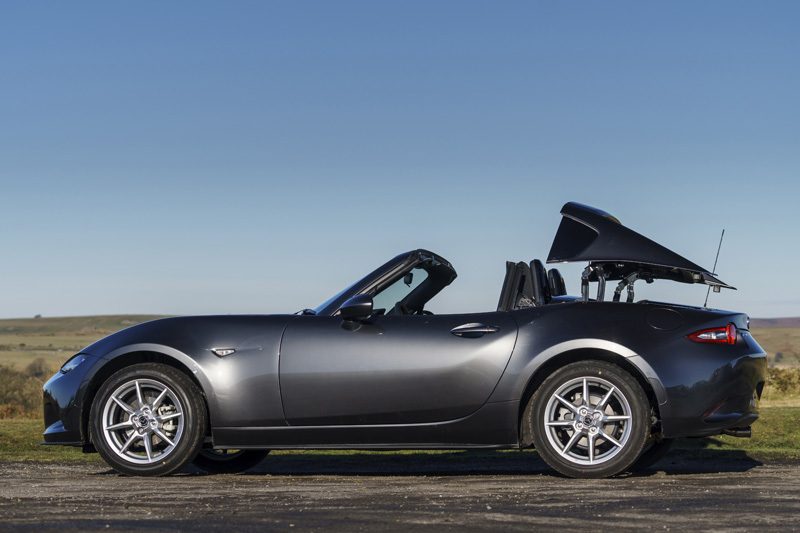 Which is ironic, because far more people bought the folding hard-top version, and by some margin (80%, in fact). Perhaps that was an admission that our country’s climate offers far from ideal convertible opportunities. 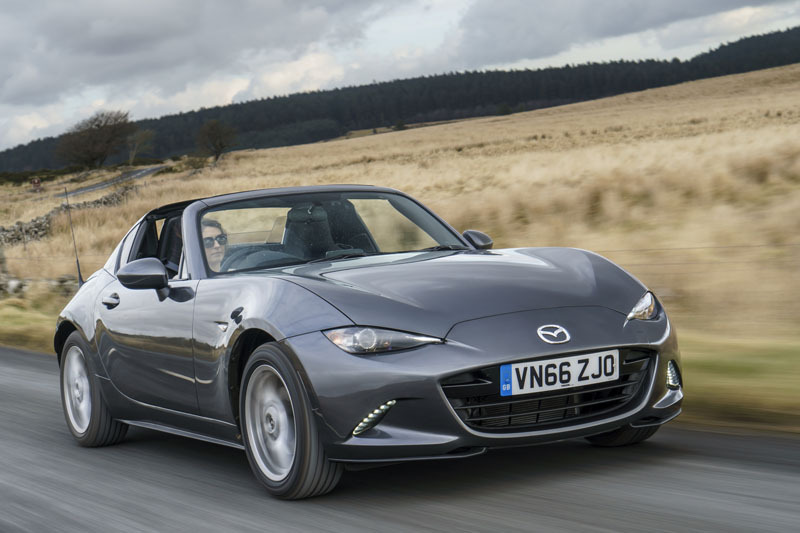 Or, more likely, simply because the folding hard-top offered just the same roof-down experience but with the bonus of an added sense of security. 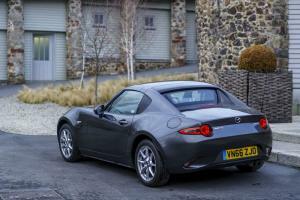 For the new MX-5, however, Mazda wanted to do something a little different. And the result is the MX-5 RF, or Retractable Fastback. 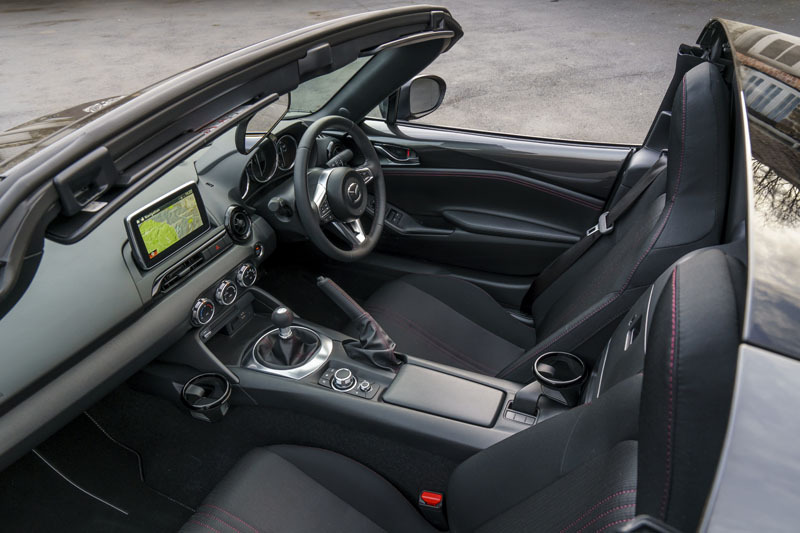 Instead of a fabric roof, there’s a folding hard-top and a one-piece buttress section that lifts out of the way, allowing the top and glass rear window to fold away beneath it, before resuming its original position. The cost in boot space of all this origami is only three litres over the soft-top. 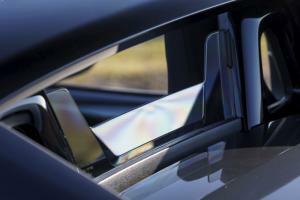 In truth, it’s perhaps closer to a Targa top than anything else, as the rear of the cabin is still technically enclosed – although now there’s no glass between the buttresses. Mazda say the roof’s little dance takes just 13 seconds, although it’s a performance that can only be conducted up to a 6mph near-standstill. Nor can it be performed in reverse gear. Curiously, the console-mounted switch to kick all this off seems to operate backwards, requiring you to push down to raise the roof, and pull up to lower it. You have to hold it, too – let go, and it all comes to an abrupt halt. Still, it’s accompanied by a satisfying little graphic in the instrument cluster, and with the roof up road noise is greatly reduced over the fabric-topped MX-5, thanks largely to a noise-absorbing headliner plus extra insulation around the rear wheel-arches and transmission tunnel. Cruise around town with the lid off and all is rosy, with an admirable lack of buffeting. It’s not quite the open air experience you get with the soft-top, but it’s close. However, ratchet your way to 50mph or so and those beautiful buttresses collect the air rather noisily. 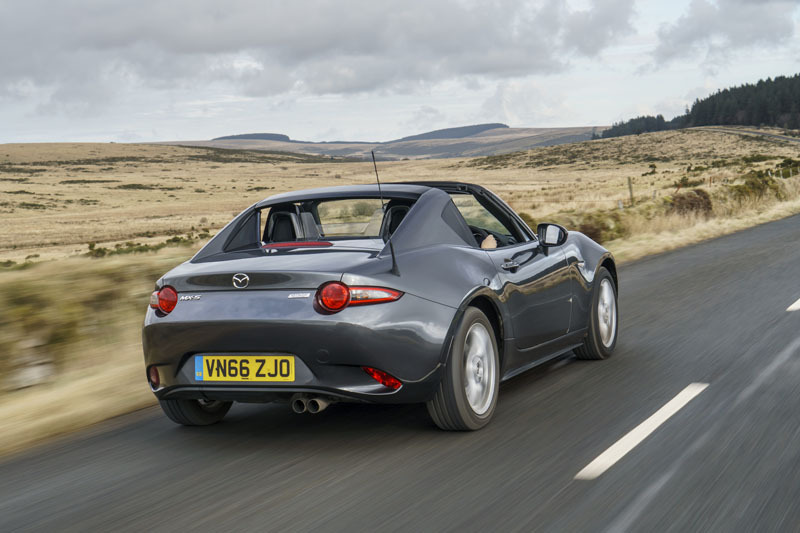 On a dual-carriageway, it’s loud enough to drown out the stereo even on max volume, and on a longer journey it can become a little tiresome. 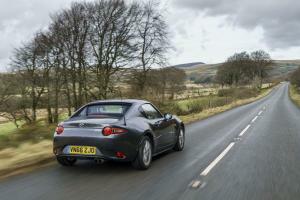 Thankfully, the MX-5’s near-legendary driving experience is still very much in evidence. 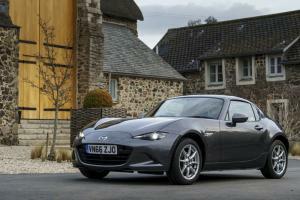 To offset the added weight of the electric roof (40kg on the 1.5-litre model), Mazda’s engineers have subtly tweaked nearly every major component so as to preserve the handling balance – there’s a thicker front anti-roll bar, revised rear springs and tuned dampers all round, recalibrated steering assistance, and a revised brake booster to offer a more linear pedal response. 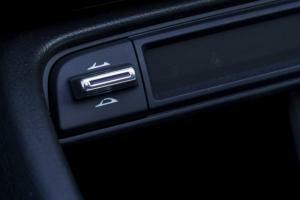 They even altered the underbody cross-members to compensate for the extra stiffness provided by the hard top. As a result, the new RF continues to offer one of the most engaging driving experiences on the planet. 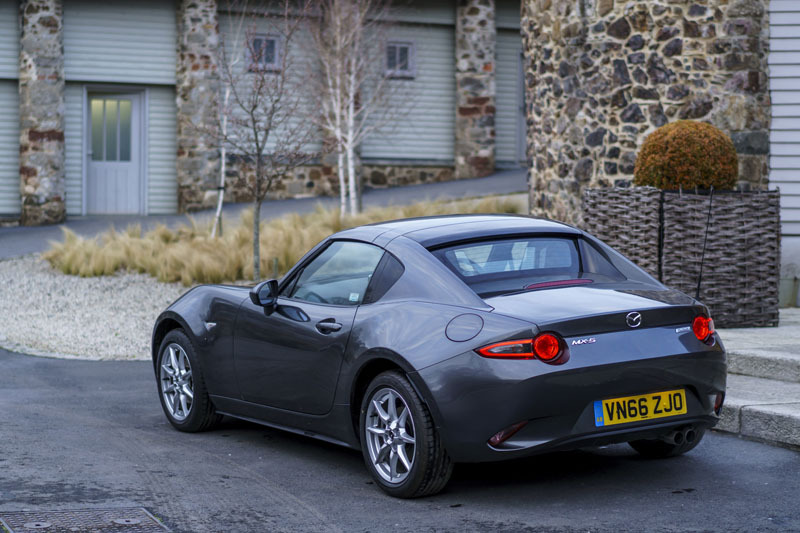 Judicious back-to-back testing would hopefully prove this right, but to me the RF feels even more direct in its responses, and turns in with even less body roll. This is a car that seems to pivot about your backside: every steering input, every change in throttle position, entices a perfectly-judged reaction from the chassis that feels entirely like it came from you, not the car. 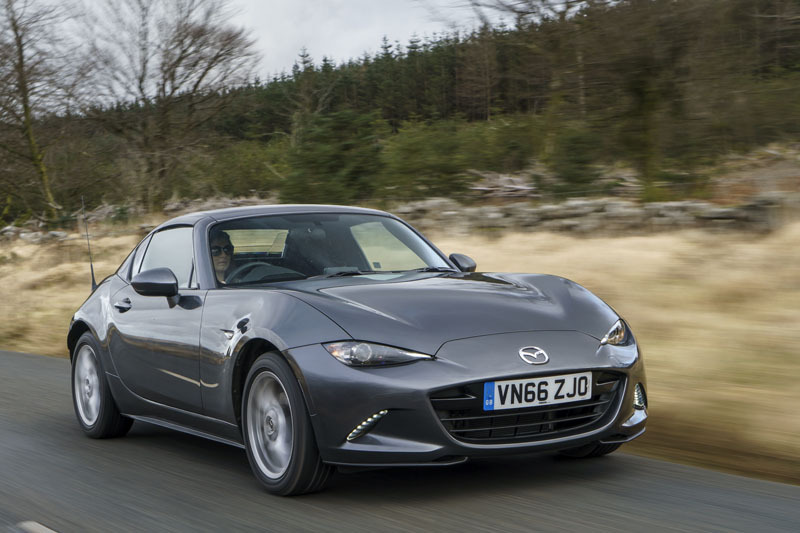 Slicing from corner to corner, making the most of the rifle-bolt gear-change, the wind tousling with your hair, it’s hard not to make heady comparisons with the Porsche Boxster. 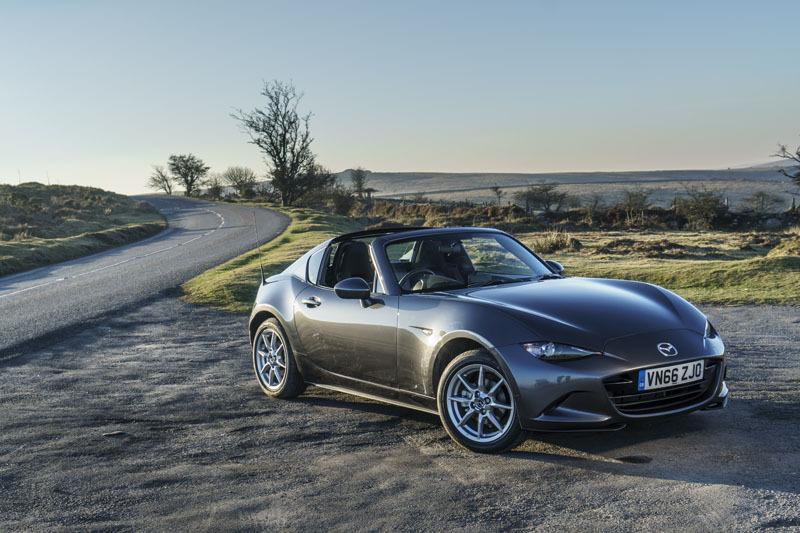 Sure, its 300hp will blow the Mazda into the weeds from the lights, but the MX-5 delivers something – beyond 22½ grand in change – that the Porsche can’t: the sensation of fun at any speed. 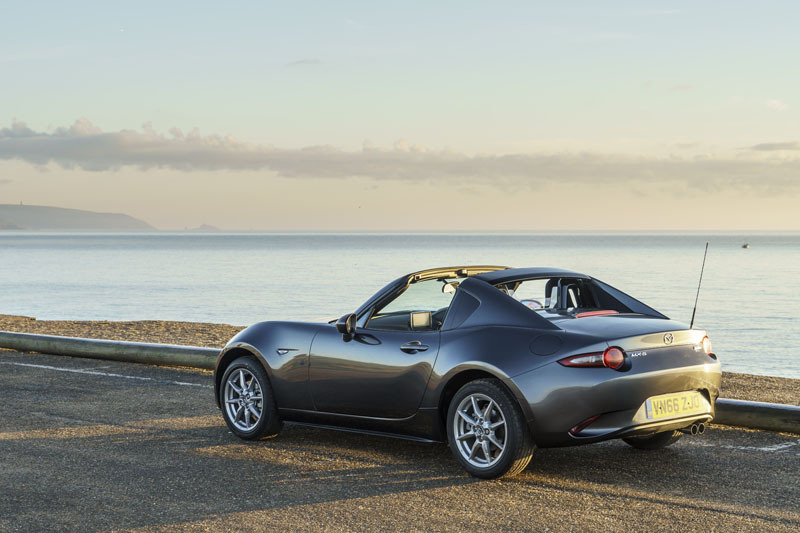 You don’t need to risk your licence to enjoy yourself in the Mazda. 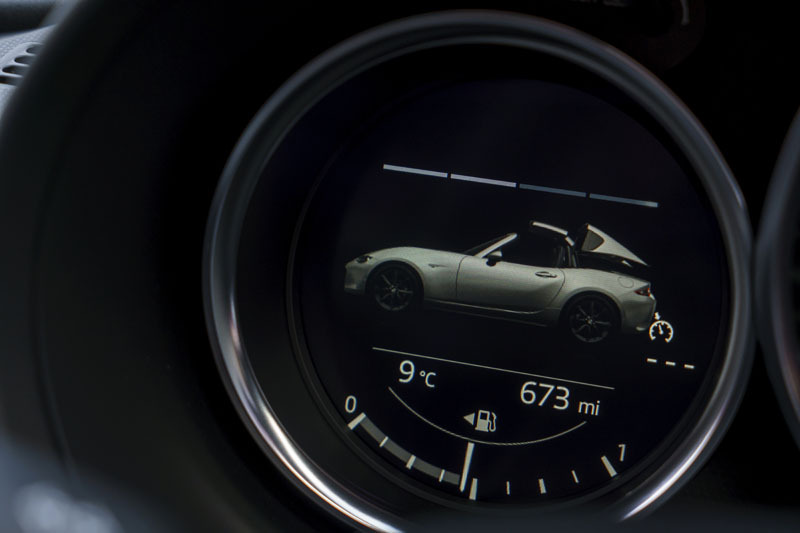 Every corner and every roundabout gives the MX-5 an opportunity to shine. The fact it can do this without troubling a 30mph limit makes it, to my mind, a far more realistic proposition for today’s speed camera-infested roads. As with the roadster, it ain’t perfect. Anyone above average height will struggle for cabin space, the handbrake digs into your left leg, the window controls dig into your right, visibility is awful at oblique junctions, and we still want a digital speed read-out in place of the unnecessary gearshift indicator. But then you remember this only cost you £22,195 and your last tank gave you over 47mpg. Whichever roof you prefer, those are cheap thrills indeed.